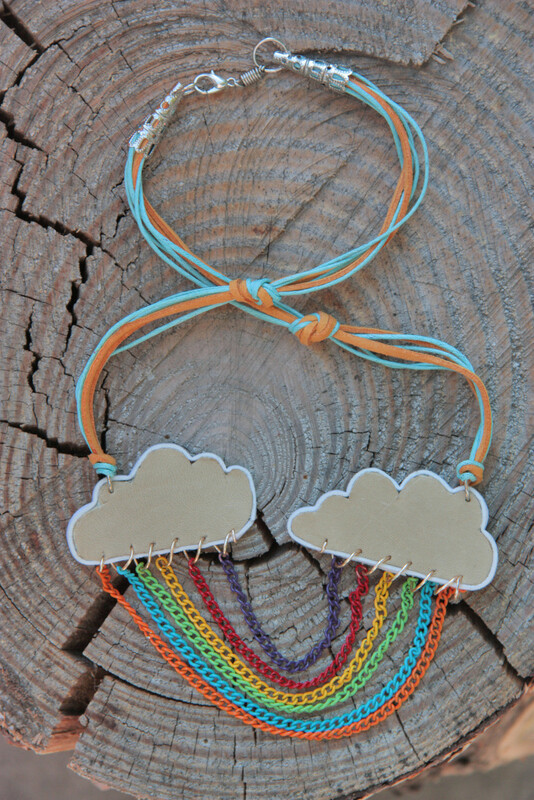 A summer storm inspired pendant! 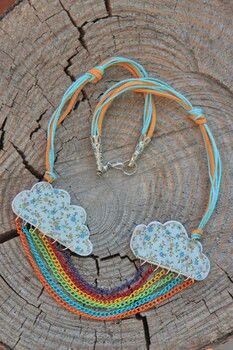 A sweet summer necklace that will make you smile. 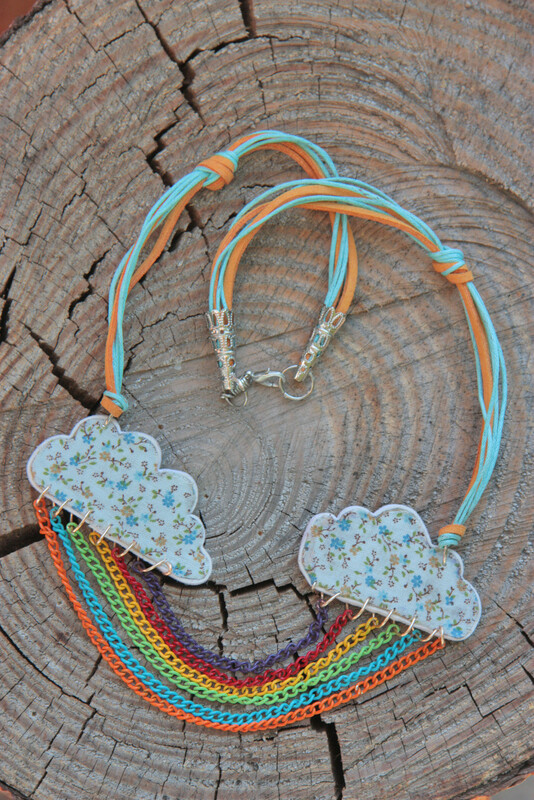 Trace your cloud image on the back of your leather scrap. Then carefully cut out with an Exacto knife. Sand or smooth down the edges so that they are rounded and soft. Trace your leather cloud shape onto some cotton or linen fabric. Using leather or fabric glue (I used Magna-Tac beading glue and it was perfect), glue down the cloud shape onto the back of your leather cloud. With E6000 glue, attach whatever color of trim you want to the edges of the cloud. I used white. 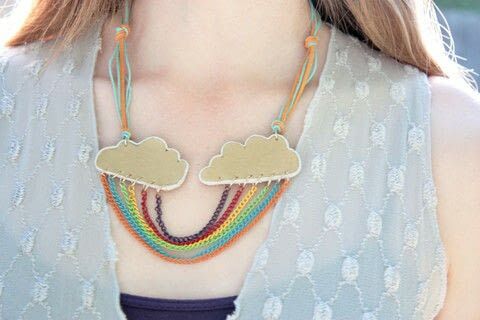 Punch your jump rings and attach your rainbow chain to th bottom of each cloud. I made my own continuous corkscrew design for the chain to hang from each cloud. Attache your string to the jump rings and then glue on your clasps of choice. Clever idea. Kudos to you. I'm so going to try this one. Possibly a miniature version. Thanks a bunch. Great idea! I'm also working on an earring set. Good luck!